After Old Trafford now it’s also happening at Anfield. 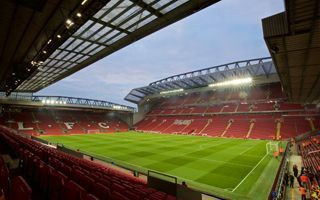 Liverpool will lose up to 1,000 seats in order to accommodate more disabled supporters. 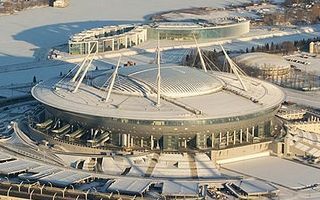 31.01.2017 Stadium of the Year 2016: Join the global vote! 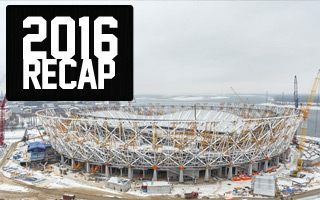 It’s time to make your voice heard and select the best stadium opened in 2016 around the world. Public Vote is now open and will last until March 4. 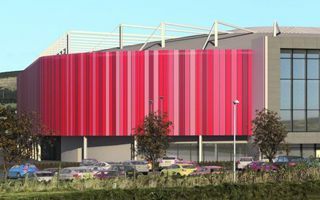 First workers arrived on site and are preparing for bet365 Stadium’s first large upgrades since it opened 20 years ago. 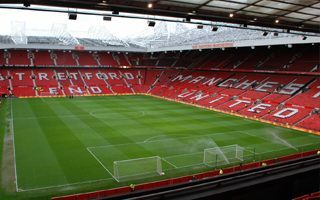 From 2017/18 the club will have over 30,000 seats available. As we write this, supporters for the first time stand at the modernized and expanded south stand. 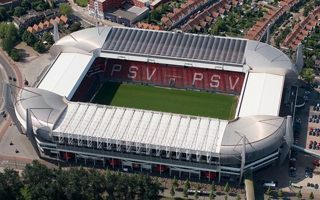 Amsterdam ArenA’s total capacity for the first time ever exceeds 54,000 people! 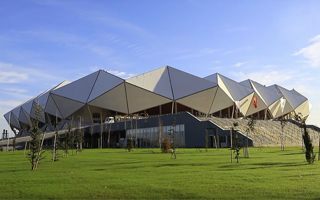 A total of 29 stadiums from 21 countries will be up for the Stadium of the Year title in the 7th edition of our awards. From Tuesday onwards you will be able to select the best stadium of 2016. 27.01.2017 Dresden: Dynamo might reach capacity of almost 46,000! 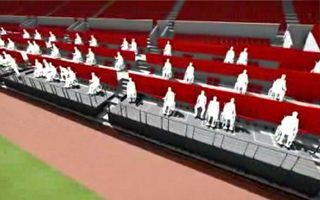 Two or even three tiers of seating, just under 14,000 people in the famous K-Block and total capacity of nearly 46,000. All of that might happen in Dresden, according to leaked feasibility study. 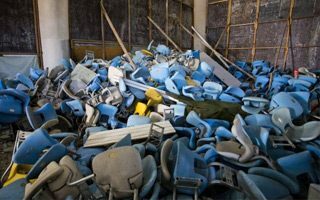 Impasse regarding Rio’s most legendary stadium sees no end. Now unpaid bills totaling nearly $1 million caused electricity to be cut. 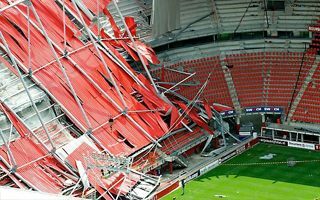 Nobody will be prosecuted for the partial collapse of the FC Twente stadium in 2011 that killed two people and injured nine others, reports the Dutch prosecutor on Thursday. 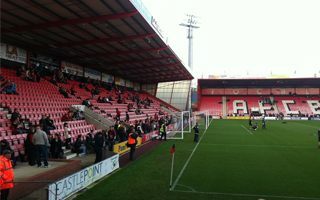 Sunday’s FA Cup game will be special as supporters prepare to celebrate what may be their club’s salvage overall. Lewisham Council decided to withdraw from its previous policy. 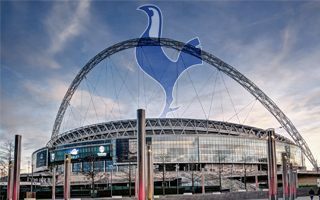 Yes, you’re not mistaken, Spurs are hoping to fill Wembley week after week in the club’s latest push for growth (and revenue). 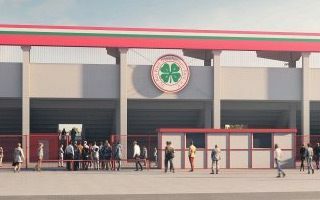 Together with stadium operator they want to welcome 90,000 people per game. It’s not a regular stadium by no means. 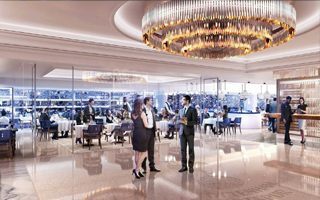 The giant overgrowing White Hart Lane will bring a new standard to football’s hospitality and matchday experience. 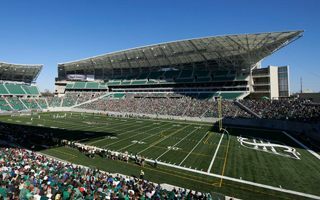 When you nominated it, we were puzzled but in the end decided that Canada’s (possibly) best CFL stadium deserves its place on the Stadium of the Year nominee list. 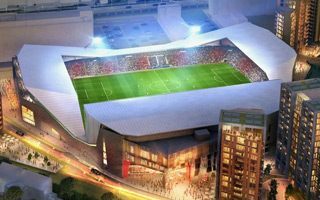 25.01.2017 Manchester: Old Trafford expansion finally closer? Daily Mail didn’t even wait a whole day before restarting speculation over expansion of Old Trafford. Is it more realistic this time round? 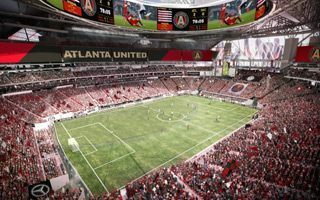 In order to increase number of wheelchair spaces, some 2,600 season ticket holders have to be relocated from their current positions. 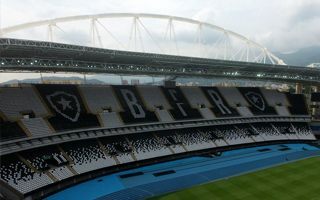 Painted in black and white, now Estadio Nilton Santos is really home to Botafogo instead of being a neutral multi-use stadium. 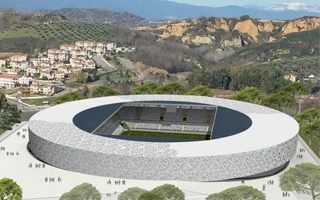 Southern Italy may get another modern stadium, one of many needed across the country. It used to be an election promise, now it may become reality. 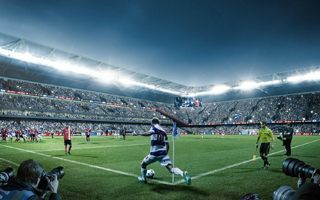 Loftus Road isn’t just too small for long-term growth (or any growth) of QPR, it’s also below the needs of QPR in the Community Trust, the club’s official charity. Over the weekend we added two new stadia from Turkey. One of them will see its first football game this Sunday, the other is already well in use, though still not finished. 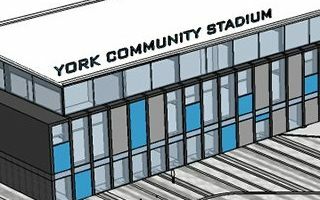 City of York Council is to push ahead with its Community Stadium plans after a judicial review was dismissed. 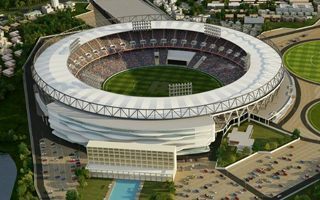 20.01.2017 Australia: Tasmania to get the first football stadium? 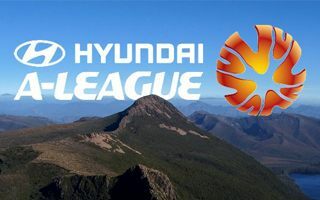 The famous island might get a football team in the A-League but first they need to built at least one professional stadium. As it turns out, there is none currently. With over 500 letters of support and objection, it’s not all positive for Aberdeen FC. Their new stadium raises some fears among local residents. It’s not often that we can show you stadiums of this size being built anywhere on earth. 110,000 people will be needed to fill this one to capacity when they’re done in Ahmadabad. Even if a couple months late, it’s still built rather timely when compared to many other stadia of its size. 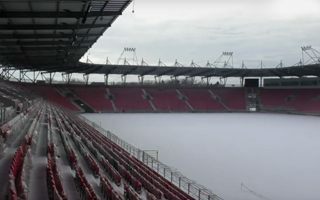 The 18,000-capacity stadium in Łódź will open in March for its first league game. 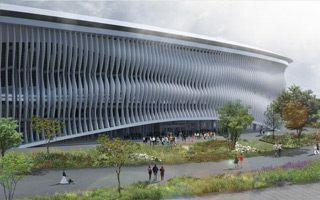 It was expected to get a complete reconstruction, then a major upgrade. 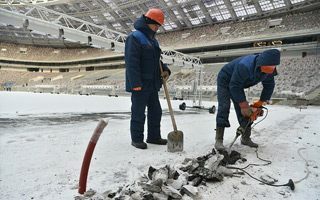 Now, one of Russia’s most famous stadiums is left with only cosmetic works that won’t prolong its lifespan significantly. 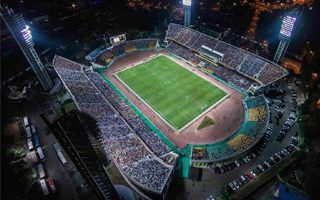 18.01.2017 Bucharest: One stadium but for which Steaua? 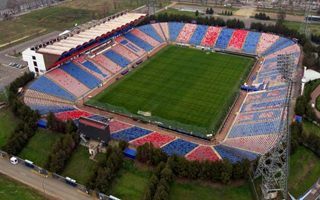 Reconstruction of Steaua Bucharest’s home stadium should finally begin. Great news, right? Not for Steaua because there will be another team by the same name playing there. Yes, that’s strange. Neighbouring municipalities express their resistance against the planned national stadium in northern Brussels. Opposing MP reveals millions to be paid by taxpayers. 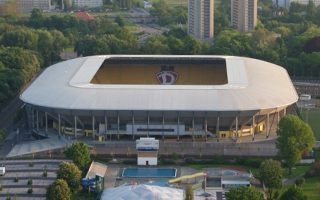 17.01.2017 Dresden: Dynamo’s stadium to be expanded? Already in the third league they’ve exceeded expectations in terms of attendance. Now Dynamo Dresden have almost reached their limit, long before reaching Bundesliga. 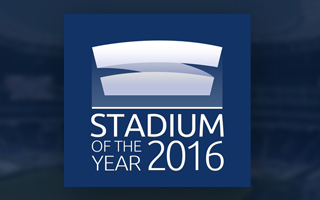 16.01.2017 Stadium of the Year 2016: Name your nominees! For 10 days you’re welcome to share your favourite stadiums opened in 2016. 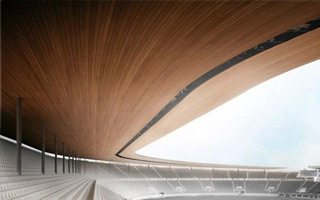 We know of over 30 stadiums eligible for the competition, now let’s see your candidates. Instead of great celebration a loss, last place in the league and largely empty stands. 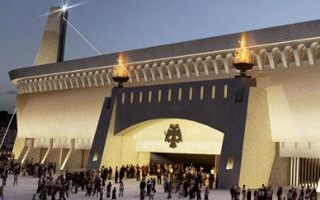 But for Gaziantep Arena the rough inauguration may be the beginning of a much better history. 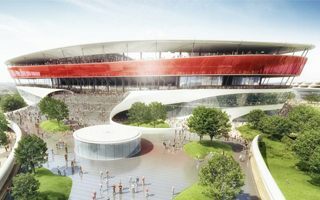 2017 will bring more changes for at Philips Stadion. 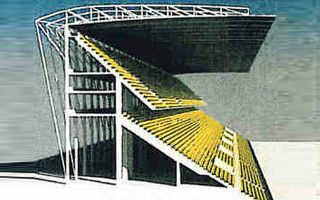 After the large standing section last year, now upgrades are planned in the south stand. 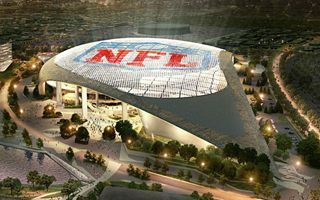 Especially relevant in association with Levi’s Stadium airspace issues, the new LA Rams stadium has been cleared by the Federal Aviation Administration. 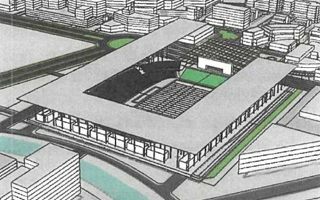 Covered seating bowl for up to 40,000 people may be created exactly in Pearl Harbor. The current stadium requires replacement in the long term and here’s a sketch of what Hawaii might get. 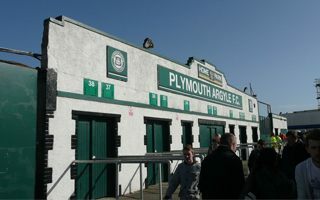 13.01.2017 England: Plymouth to finally erect the missing main stand? 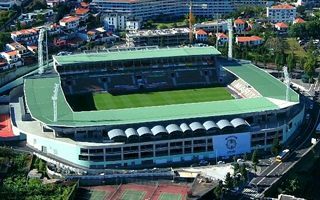 Their current south stand of Home Park is heavily outdated and is the last one not to be rebuilt entirely. That’s bound to change in 2019 if Plymouth Argyle get their way. 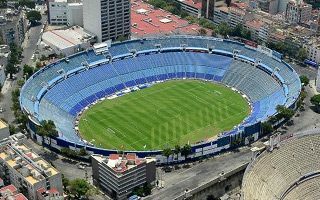 One of Mexico’s most famous clubs is looking for its future stadium. So far we only know that the Cementers hope to remain within Mexico City. 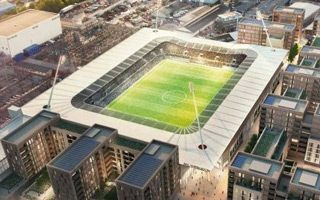 Just as expected, the Hammersmith and Fulham council’s planning committee gave planning permission to Chelsea FC’s new stadium. And a unanimous one, too! Did pressure work? 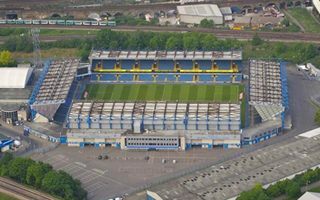 For the third time Lewisham Council postponed the vote on CPO around Millwall stadium. It’s now expected in February. It's going to happen this time, RWO begin preparation for demolition. After prolonged wait the first grandstand of Niederrheinstadion is about to be rebuilt entirely. 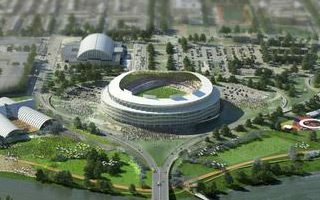 The fate of Washington Redskins is still unclear but it seems there won’t be any stadium on the site of current RFK Stadium in the long run. 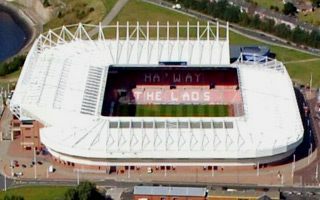 With its almost 49,000 seats Stadium of Light has been not only one of north England’s biggest stadiums but also concert venues. Not this year! Why? 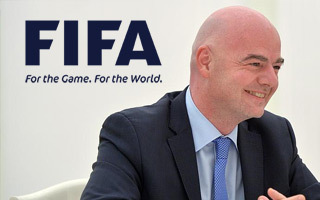 Decision to increase number of teams by 50% may be crucial for countries wanting to host a World Cup in the future. Not necessarily because of stadiums, though. 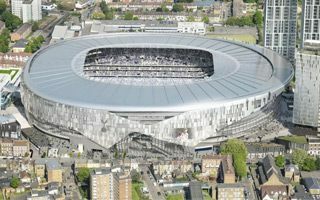 11.01.2017 London: New White Hart Lane and its potential impact on Tottenham’s future! 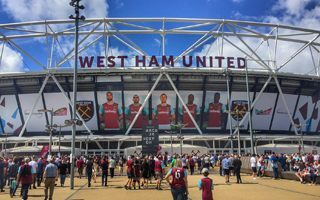 Tottenham Hotspur have been at the very top of English football for many seasons now and White Hart Lane has been a difficult obstacle to overcome for most of Premier League sides. This season alone, Spurs have not lost a single of the nine home matches they have played, a feat matched only by Liverpool. 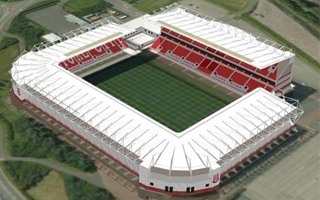 11.01.2017 Great Britain: UK stadium overhauls and new stadiums to expect in near future! 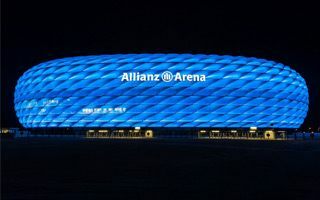 We take a look at some of the stadiums currently under construction or reconstruction and bring you the latest news regarding the great football pitches you will see some of your favorite UK clubs playing at in the near future. 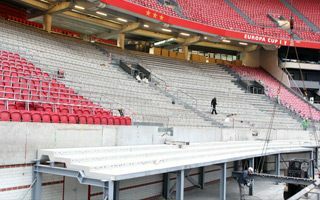 10.01.2017 Paris: Lawsuit against FFR after national stadium cancellation? 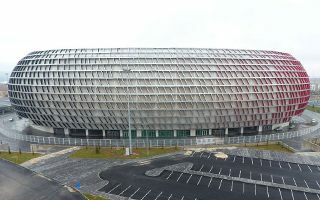 Mayor of Ris-Orangis confirmed his commune will file a lawsuit against French Rugby Federation for not building the proposed national stadium. 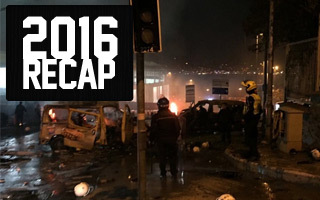 10.01.2017 London: Millwall forced out of London? Tomorrow evening will tell whether a truly unthinkable scenario is realistic. “Millwall FC forced to relocate outside of London” is now part of the public debate. 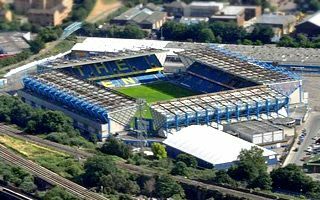 It might still happen that AFC Wimbledon would be denied their Plough Lane stadium ambition. Current greyhound racing stadium is (again!) analysed for potential historic listing. Here’s how you transform an ordinary athletic stadium into a modern, elegant and vivid place to play football in. And do shopping or other activities, too. 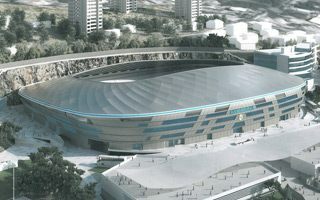 Finland decided not to build a new national stadium, instead renovating the historic one. 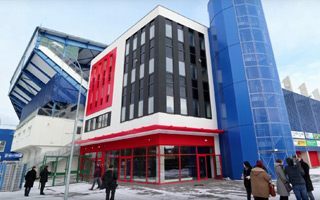 This project has just become more controversial as price increased by 25% before work even started for good. 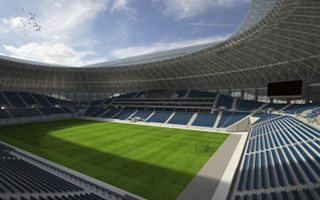 After 5 years the Štruncovy Sady stadium is reconstructed. Upgraded west stand came last and makes the stadium completely enclosed with its two corner towers. 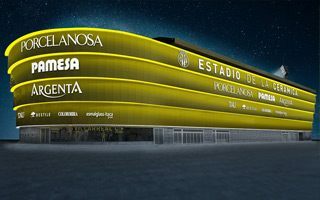 Ahead of tonight’s Villarreal – FC Barcelona game supporters were treated to a multimedia show that celebrated Estadio El Madrigal renamed to Estadio de la Cerámica. 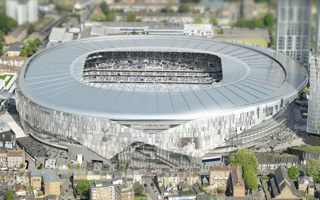 Property companies on Friday kicked off plans to invest in Tottenham, amid expectations Spurs’ new £400 million stadium will trigger demand for homes. 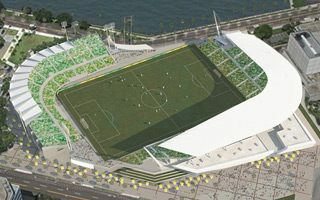 Tampa Bay Rowdies are hoping to join MLS in one of the two upcoming windows. 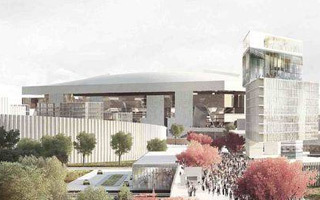 This is how their stadium will grow to 18,000, resembling a very odd sailboat. 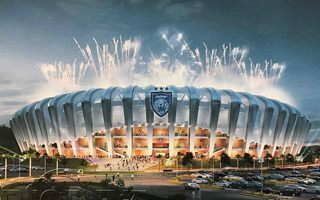 One more NFL stadium that will open with soccer rather than American football. We know the busy first weeks of MBS now, with 11 large events in just over a month. 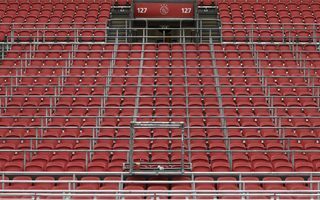 First stand of Amsterdam ArenA is already changing seats to red. 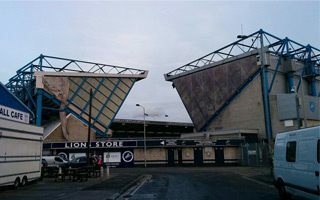 Meanwhile, the long anticipated expansion of the east stand’s promenade and new façade will shape up in upcoming months. 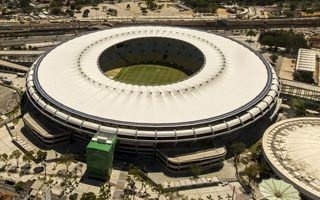 It’s just three years after a lavish and controversial redevelopment and Brazil’s most famous stadium is now looking shockingly bad. And no-one wants to admit guilt. 06.01.2017 London: Finally a breakthrough for Chelsea? 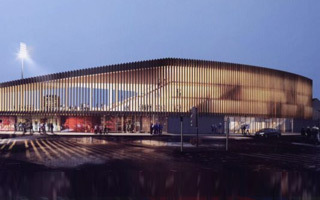 Only an unexpected turn of events could now stop Chelsea’s planning permission, now recommended for approval. 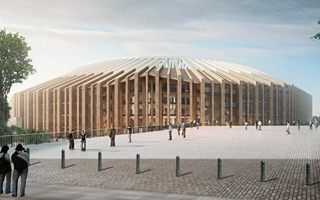 New Stamford Bridge should be ready in 2021. 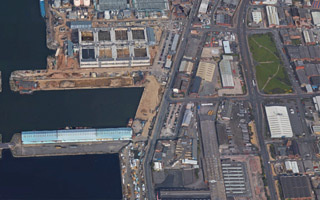 They tried their best not to say it outright, but mayor Joe Anderson helped Everton officials by calling Bramley-Moore Dock as “the elephant in the room”. This is where the Toffees want to grow. If you’re 32 years old and have your own football team, you must be a prince in an oil-rich state. Well, maybe not exactly, but Prince Ibrahim Larkin is now building a stadium of his own name. 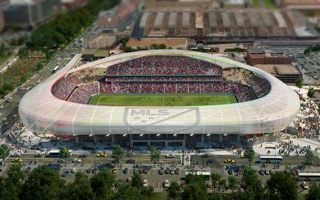 Missouri Governor-elect Eric Greitens is standing firm on his decision to not support state funding for stadiums, including the proposed $200 million soccer stadium in downtown St. Louis. An Associated Press report. 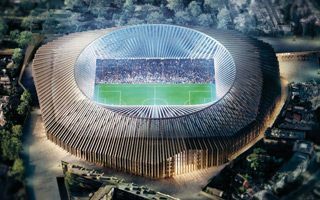 Ultras return to Parc des Princes, safe standing lands in the Netherlands and Scotland, NFL arrives in Los Angeles, Sydney gets its final stadium plan, while Russia is catching up with World Cup works. In March we should know what secondary uses could be created around the proposed Kantrida in Rijeka. Only then the stadium has chances to get off the ground. 02.01.2017 Munich: TSV 1860 to search for land outside city limits? 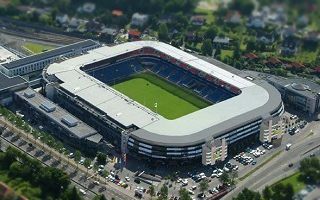 If no progress is made in the next six months, TSV 1860 investor Hasan Ismaik will search for stadium land outside Munich. Is this an ultimatum to mayor Dieter Reiter? Tears of sadness, disappointments, anger or simply impatience. Many events in 2016 brought us these negative emotions. Here’s a review of what we won’t miss in 2017.